Tugboat 10 is one of the two small shallow wrecks near Zonqor Point in Marsaskala, on the south east coast of Malta. Tug 10 was a former tugboat working in the Grand Harbour of Valletta. 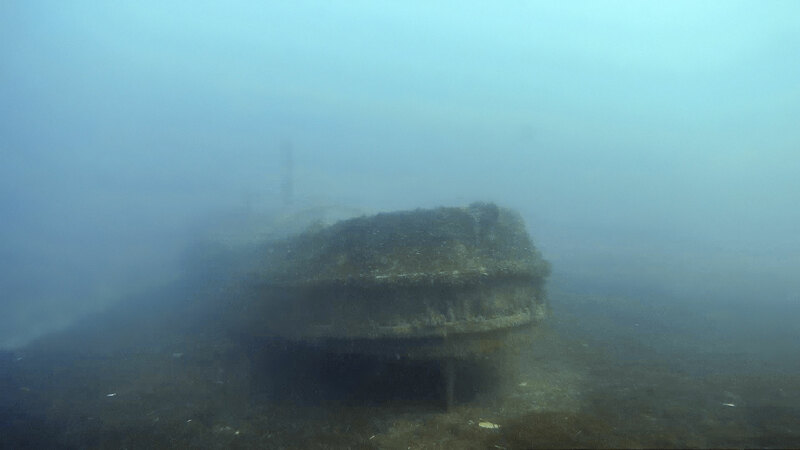 She was scuttled in May 1998 together with another tug, St. Michael, to form an artificial reef and scuba dive site. Prior to scuttling the tugboats underwent a clean-up operation to make them safe environmentally and for diving. The Number 10, or Iz-Zaghra (the little one) as divers from the South of Malta sometimes call her, is 16 m long wreck and lies upright on flat sandy bottom with a maximum depth of 21 m. The bows of 10 lie up against the base of the reef, and its stern is about 3 m away from it. St. Michael is about 50 m east from the bow of the Tug Ten and a bit farther away from the reef. 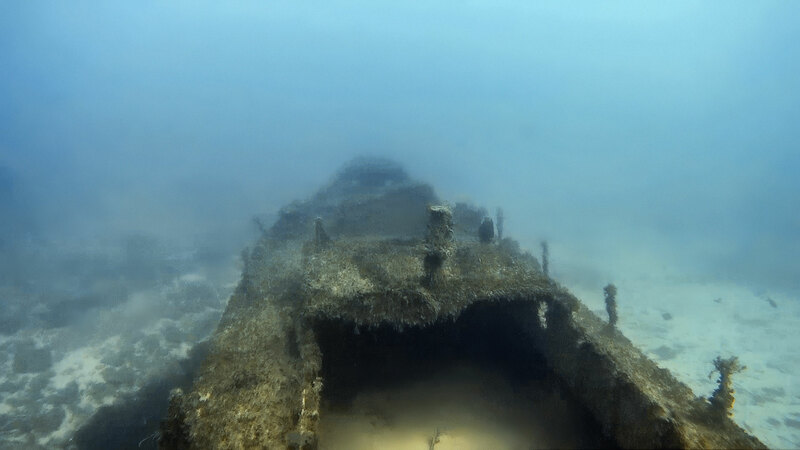 The wrecks are usually visited on the same dive. 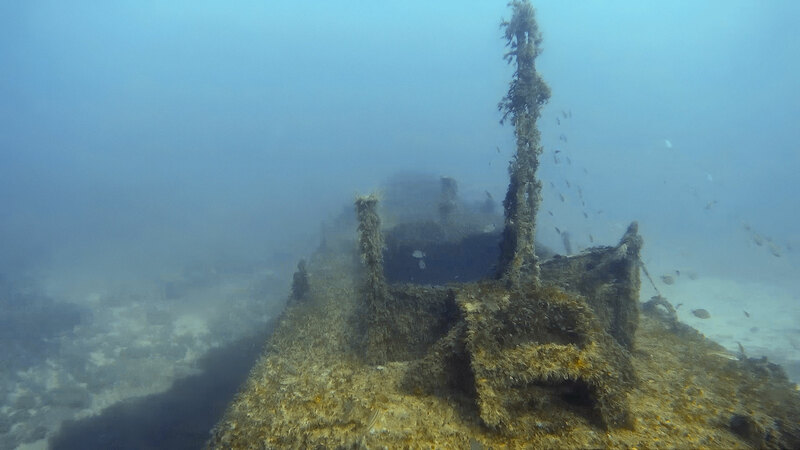 Tugboats 10 and St. Michael are now partially overgrown with corals and sponges, creating two lovely artificial reefs and providing habitat for a variety of marine life. They have transformed an ecologically barren area of seabed into a shore dive location which is accessible for all levels of divers, offering an excellent opportunity to practice wreck diving at medium depths. The tugs are also sheltered from the north west winds, making them a popular dive site during the summer. Tug 10 and St. Michael are some of the few shallower wreck dives in Malta, suitable for PADI OWD or equivalent level. Other shallow wrecks are Tug 2 off Exiles in Sliema, a tugboat scuttled in 2013, and two World War II wrecks HMS Maori off Valletta and X127/Carolita off Manoel Island, both in Marsamxett Harbour. Tugboat 10 was probably built locally at the Malta Drydocks in the late 40s or early 50s. Number 10 is a Melita type tugboat and 16 m in length. Not much is recorded about the No 10’s history, except that she saw many years of service towing numerous other ships in and around Valletta’s Grand Harbour. Then the tug was moored at Jetties Wharf in Marsa together with St. Michael awaiting their destiny. Subsequently the tugboats sank at their moorings and remained partially submerged on the seabed for several years, as there were only few metres of water below them. Later both tugs were bought by Cassar Group, a local Maltese shipyard. Tug 10 and St. Michael were scuttled on 16th May 1998 at Zonqor Point, which is on the north side of the entrance to Marsaskala Bay. This location was chosen for multiple reasons: the dive site is sheltered from northwesterly winds, the flat sandy bottom was free of Posidonia seagrass, and the depth of approximately 20 m is within reach of also the less experienced divers. 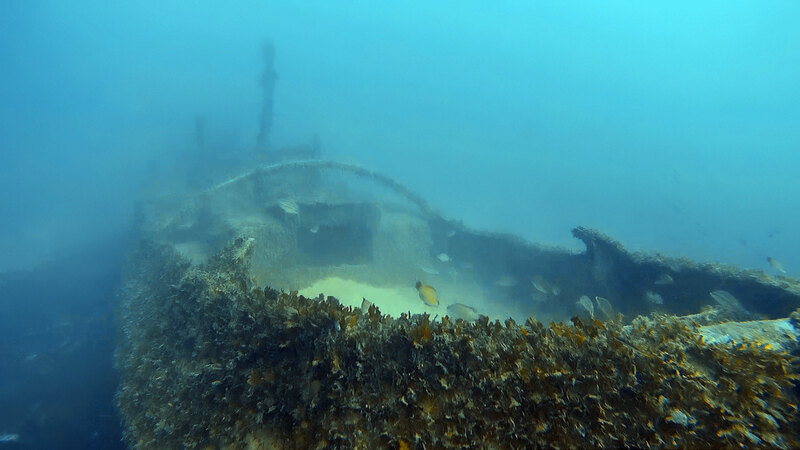 The wrecks are both upright and parallel to the reef, their bows pointing outwards from the bay. Tug 10 is lined up behind St. Michael, and the distance between the tugs is about 50 m.
★★☆☆☆ Quite small wrecks and often a bit bad visibility.